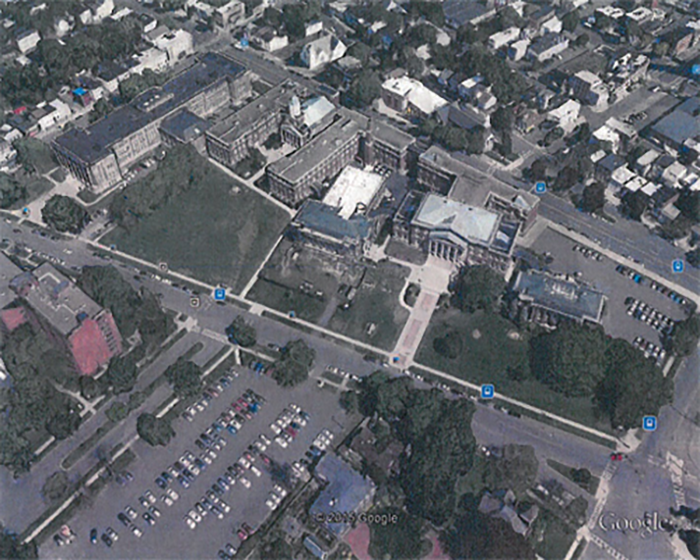 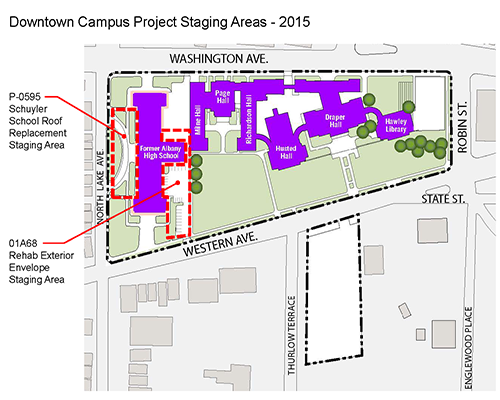 The University is currently replacing the roof on the Schuyler Building. 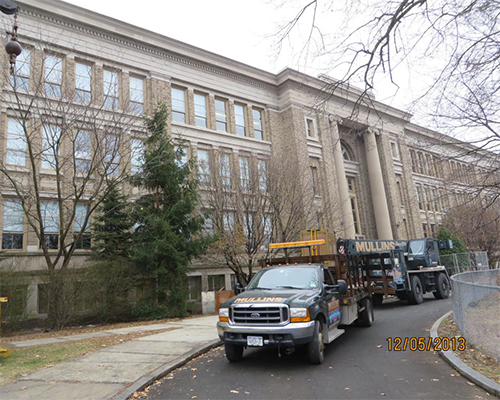 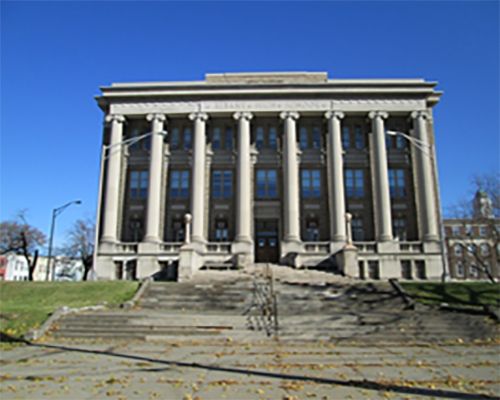 This building, originally constructed as a high school for the City of Albany in 1912, was acquired by the University at Albany in 2013. 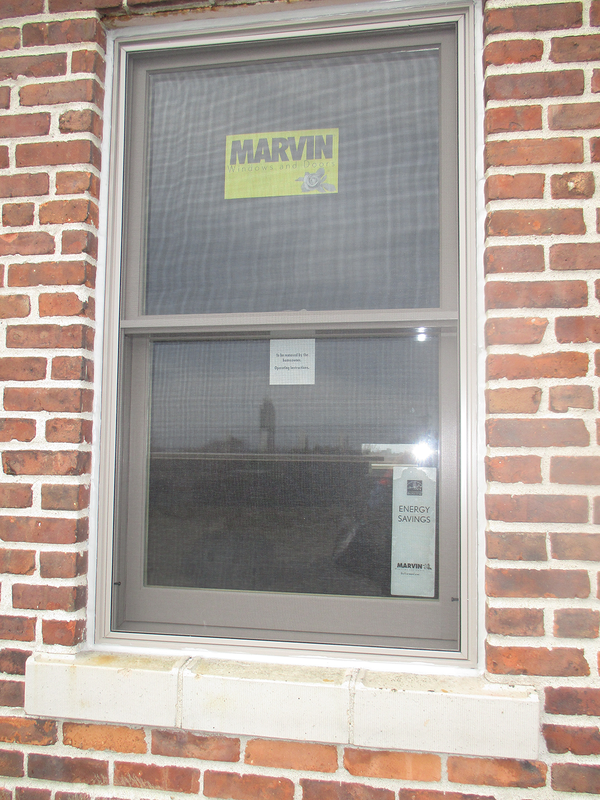 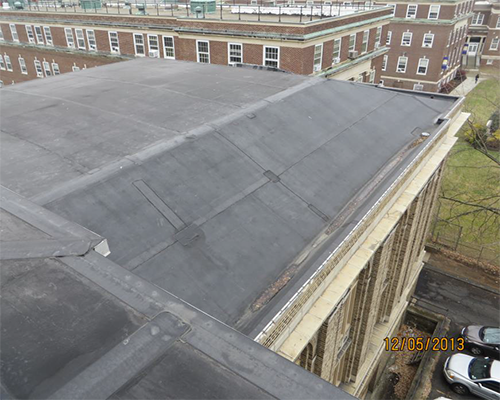 Recently conducted building condition assessments have identified the roof to be in very poor condition . 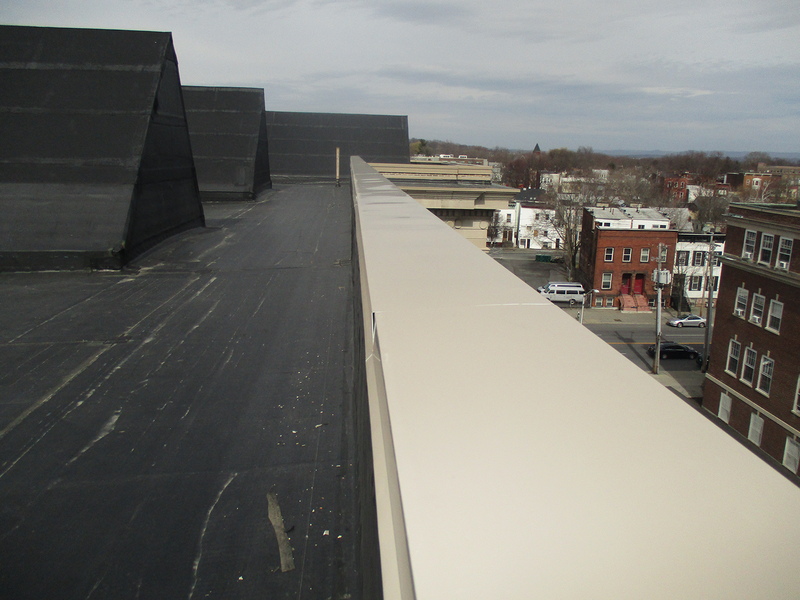 The current EPDM membrane roof was installed in 1995 and directly over a preexisting built-up-roof. 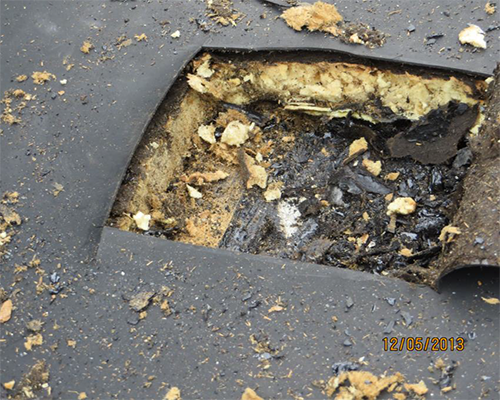 Very large portions of the roof area, especially around the roof perimeter, have experienced total adhesive failure. 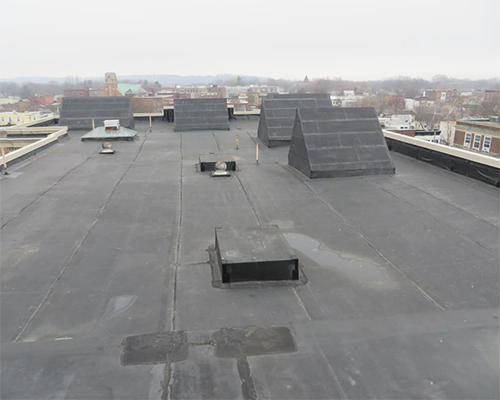 The underlying roof insulation is also loose and moves underfoot and should be replaced in its entirety along with the membrane. 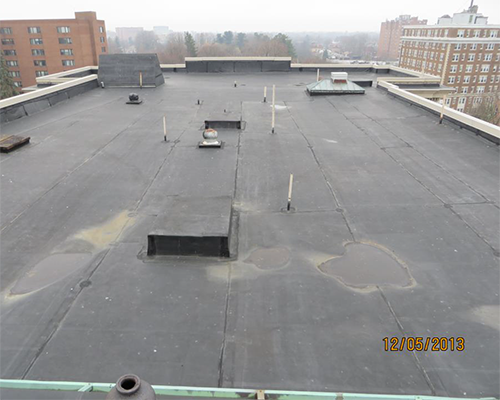 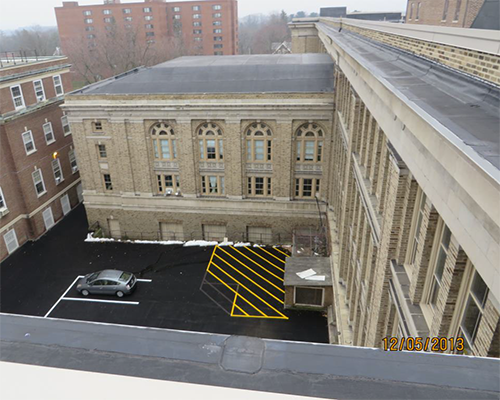 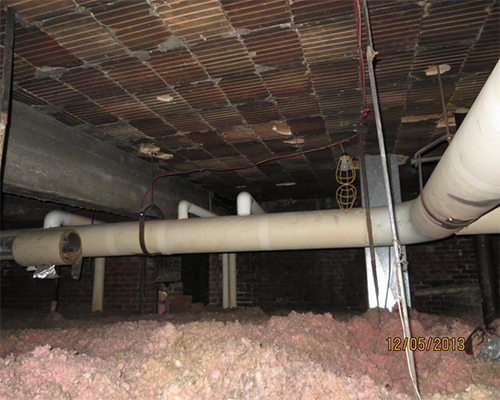 The replacement roof will necessitate the removal of asbestos, lead and PCB's. 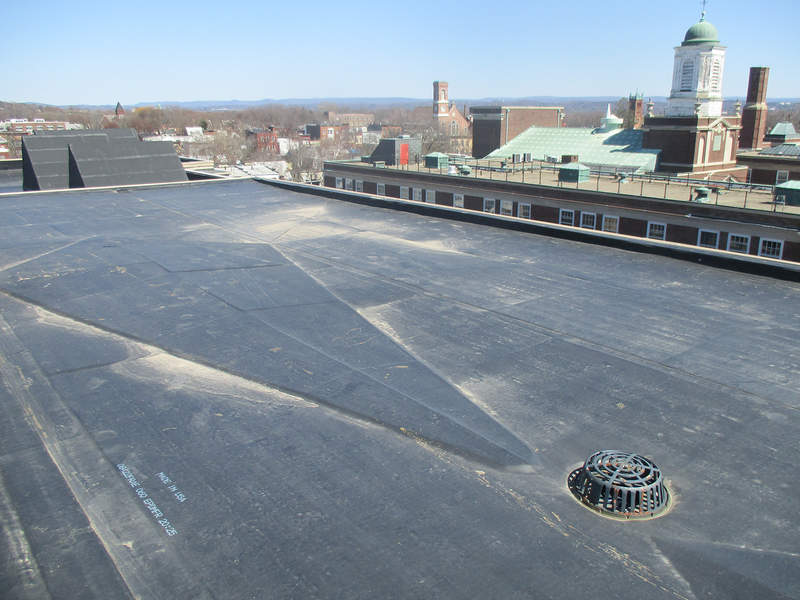 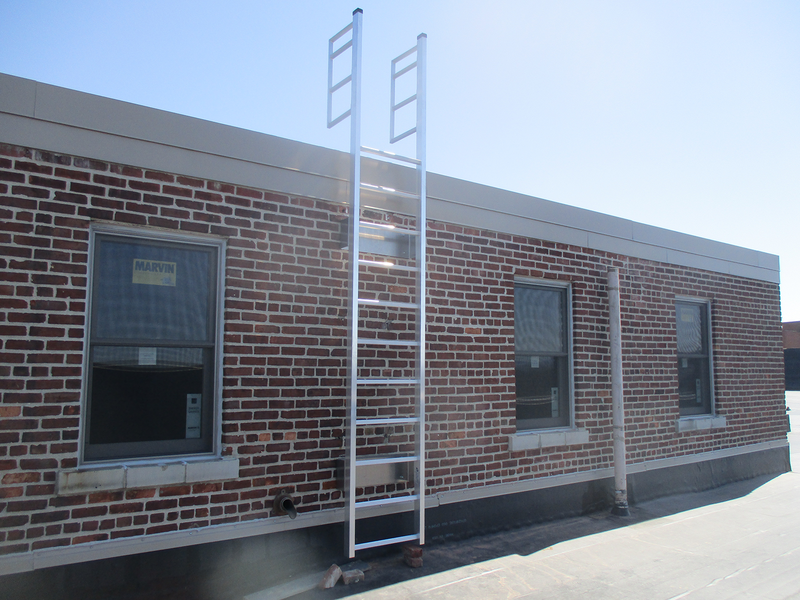 A replacement roof is essential for preservation of the facility and safety/security of personnel around the building. 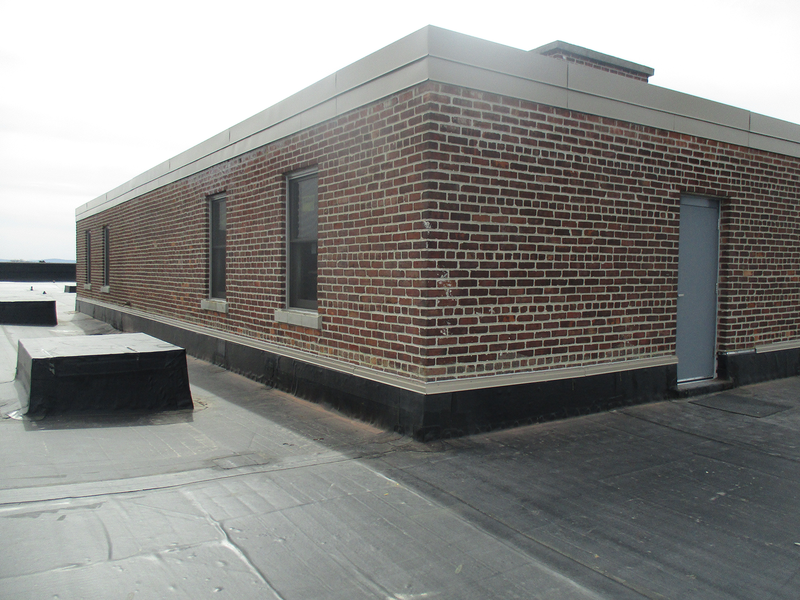 Work of this contract includes, but may not be limited to, the removal of existing roof system completely down to the structural deck, installation of rigid insulation, installation of new EPDM single-ply membrane roofing system, parapet and coping cap repairs, miscellaneous masonry cleaning and joint re-pointing, repairs to metal flashing and trim, roof accessories, roof vents and fans.